This past Thursday, March 28, OP JV and Varsity lacrosse hosted Governor Livingston in Oratory’s home opener. The game was the first one of the season for both the JV and Varsity after both programs spent the last couple of weeks preparing with scrimmages and practices. The varsity game was played first, and Oratory was immediately at a disadvantage with key offensive assets out in Matt Garibaldi and Nick Dossin. However, underclassman Brendan Kenny and Matt Terraciano came up huge for Oratory in the varsity game. Oratory started off the game very hot with a 7-2 lead early, and a 9-3 lead going into the half. After that, Oratory’s offense slowed up a bit, however, its defense prevailed, maintaining the lead for the Rams and giving the varsity squad their first win of the season 10-9. Some key highlights for the Rams included 3 goals from senior Andrea Fiorenza, 2 goals from Brendan Kenny and Matt Terracino, and 5 crucial assists for sophomore Luke Jacobello. The JV game started immediately after the varsity game at the Ram. To start the season, the JV squad looked to win the first of many this year in order to pass their 1 win mark from last season. That expectation was exceeded on Thursday, as the Rams beat GL 5-0 thanks to 5 total goals from sophomore Michael Viggiano and freshman Matt Terraciano. All 5 goals were achieved in the second half thanks to strong performances from those two players. Laxers Jeremy Smith, John Bruzzese, and Johnny Driska all recorded assists in the JV game in order to come out victorious. 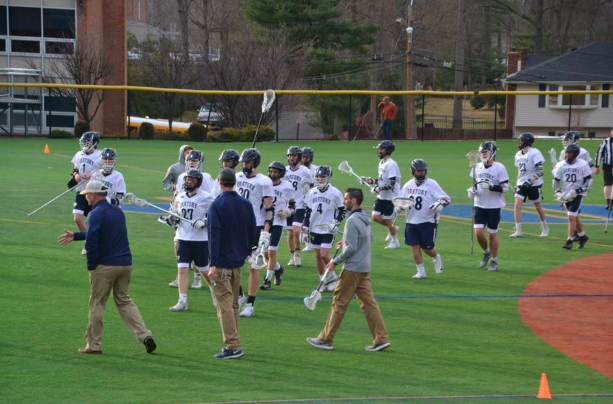 As both teams start off the season strong, it’ll be fun to watch how the lax program exceeds expectations in the 2019 season this year.